Abbamania is rated as the number one Abba production in the world. With authentic costumes, made by the original seamstress from Ma Ma Mia, and incredible vocals, Abbamania will take you back in time to when Abba was on stage, live in concert. 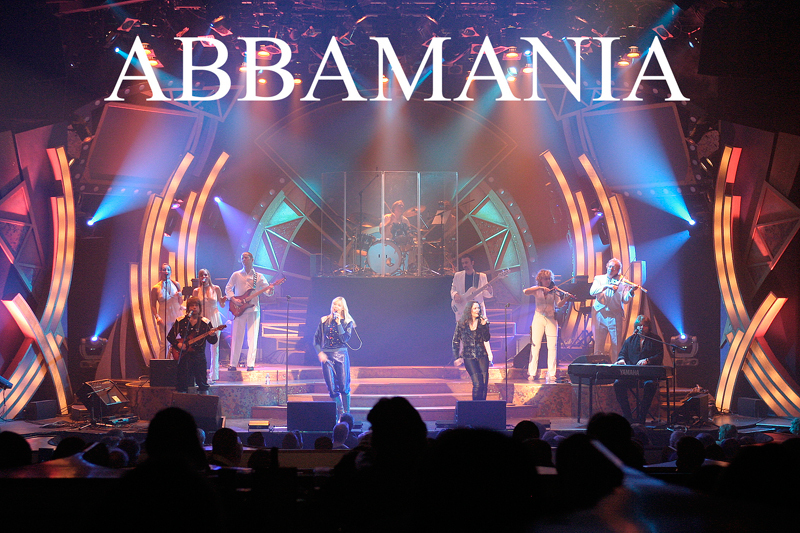 Abbamania performs 22 songs of ABBA in their two set show with costume changes, choreography, comedy, with an incredible concert sound. This is a show for all ages to enjoy and to sing along with songs from, “Waterloo, Fernando, S.O.S, Ma Ma Mia, Super Trooper, Voulez Vous, I Had A Dream, to Dancing Queen, and many more. Abbamania performs all the hits! The cast of Abbamania is from Toronto and Ontario, Canada. In the beginning, Abbamania was six months in rehearsals just for vocal arrangements. Abba’s harmonies are very difficult to reproduce as ABBA recorded their vocals many times on each record to make them sound so big and full. Not only did the cast have to look like Anni-Fri, Bjorn, and Benny and Agnetha, they had to sound like them. ABBAMANIA was a huge venture. They are backed by a live band and carry charts for a full orchestra show. They’ve sold out shows at the San Diego Symphony, selling 6,000 tickets a show.